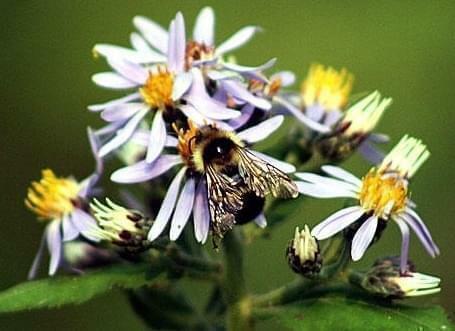 Illinois Issues: What Can Save The Bees? Chemicals commonly sprayed on gardens, yards and golf courses appear to be contributing to bees dying off in record numbers. Illinois could soon join other states in restricting the use of these insecticides, but experts say that won’t be enough to save the bees. Neonictinoids, or neonics as they are sometimes called, are a synthetic nicotine-based insecticide used in an array of gardening and farming products. Nicotine, even tobacco smoke, was used for over a century in the United States as an insecticide. Nicotine and neonictinoids affect insects’ nervous systems — first causing paralysis, and then death. The pesticide is used on lawns, lemon trees, corn and a multitude of other plants. However, the unintended consequences may be a large decline in bee population in the United States. 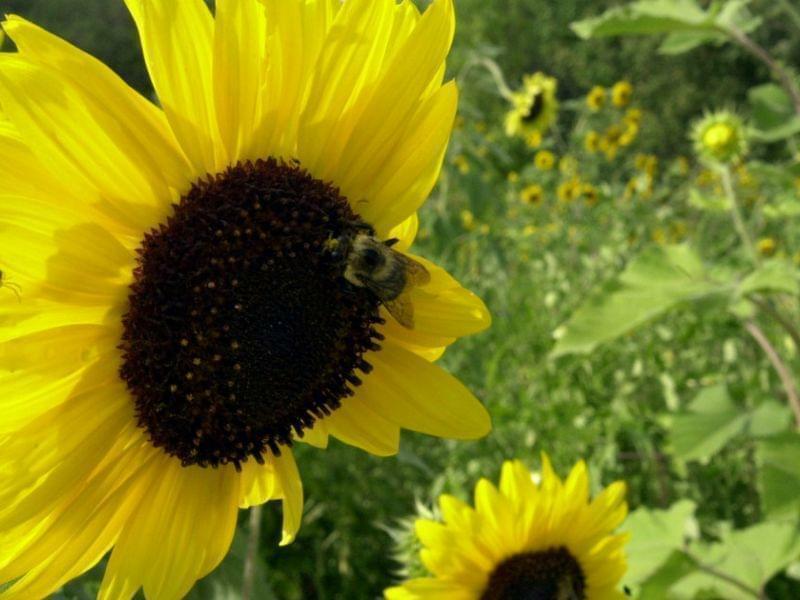 Rebecca Riley, senior attorney at the Natural Resources Defense Council says: “Bees are dying at unprecedented rates, and neonicotinoid insecticides are a major part of the problem. Last year, 60 percent of Illinois beehives collapsed, devastating beekeepers and putting our favorite fruits and vegetables at risk.” Bees are an important source for honey, but in addition to that, 30 percent of crops worldwide depend on them for pollination according to a 2011 NRDC report. In America, that equals about $15 billion a year in crops. 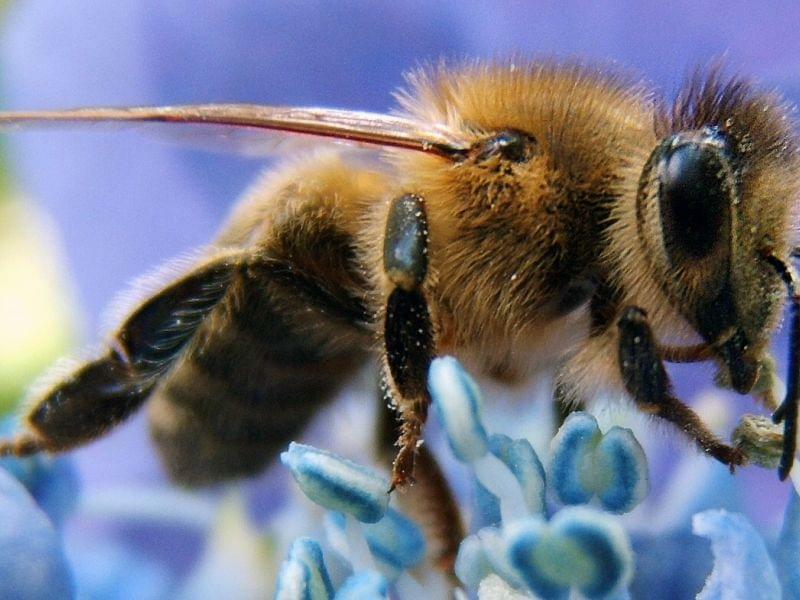 “Without bees, many plants including food crops would die off,” the report says. Meanwhile, in June of 2014, President Barack Obama announced a National Strategy to Promote the Health of Honey Bees through which more money will be granted for bee habitats and research. The federal government is taking action through the U.S. Dept. 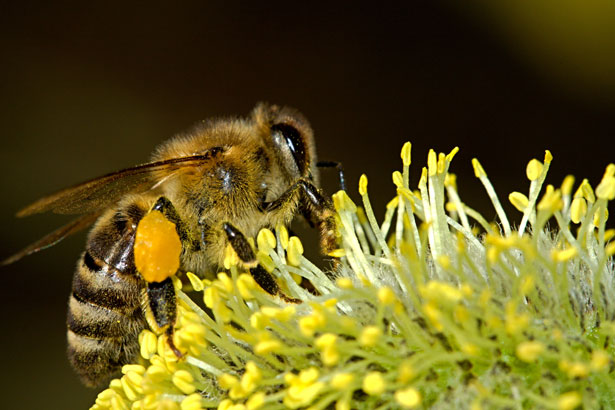 of Fish and Wildlife by banning the use of neonictinoids on all U.S. public land as of January 1, 2016, and the U.S. Environmental Protection Agency has started an in-depth study of the effects of neonictinoids on honeybees. The agency’s first report came out in January. The EPA’s findings indicated that the level of danger to bees could vary depending on the crop treated with neonictinoids. For instance, researchers found that citrus plants and cotton could have levels of pesticides that exceed what the EPA has deemed as safe for bees, but they did not find such dangerous levels in corn and leafy green vegetables. Some advocates are critical of the EPA for only focusing on commercial honeybees in the research and excluding wild bees, such as bumblebees. The EPA plans to release three other reports evaluating the risk of neonictinoids. These statements stand in stark contrast to what bee experts have observed, says Gene Robinson, director of the Bee Research Facility at the University of Illinois Urbana–Champaign. He says the latest national numbers show a 40 percent reduction in the bee population since last year. While experts agree that cutting the use of these pesticides could help bees, they also note that neonictinoids are only one of multiple threats. Pollinator experts are clear that banning the use of neonicotinoids would not solve the problem. Burns says these neonictinoids and talc stick to bee’s back legs. They carry them back to their hive and feed them to baby bees and the queen, which can cause the collapse of the colony. According to a 2012 Purdue University study, dead bees that had foraged in and around cornfields when tested contained high levels of neonicotinoid compounds. HB 5900 would not restrict the use of neonictinoids for farmers. However, Rebecca Clark from the Illinois Department of Agriculture says the department does not support the bill. In an email, she described it as “premature and an overly burdensome regulation.” Clark says the agency is working to develop it’s own pollinator protection plan. Jennifer Walling, executive director of the Illinois Environmental Council, says HB 5900 is a first step towards a solution, but more work needs to be done to reduce the use of neonictinoids in farming. Walling suggests discussions with farm communities to see how and where reduction in usage would be possible. For instance, a recent nation-wide study from a dozen universities found that the pesticide is likely overused on soybeans, and that overuse can result in neonictinoids becoming less effective. An earlier EPA study from 2014 found that pretreating soybean seeds with neonictinoids had little impact on yields, when compared to other methods, and negligible financial benefits to farmers. Walling suggests another step would be to build up pollinator habitat. Farmers are paid to set aside acreage. Instead of growing commodity crops such as corn and soybeans, these farmers grow plants such as sudex, wheat and oats. The program requires that these plants be mowed or plowed down before they reach maturity. Currently, none of the plants approved for this subsidized program have any significant nectar producing qualities that would benefit bees. Oak Park Democratic Sen. Don Harmon, who is sponsoring a Senate bill similar to HB 5900, says he would consider policy changes to help address some of the other threats to bees besides neonictinoids, such as funding varroa mite research and programs to create more pollinator ground. Illinois Issues is in-depth reporting and analysis that takes you beyond the headlines to provide a deeper understanding of our state. Illinois Issues is produced by WUIS in Springfield.